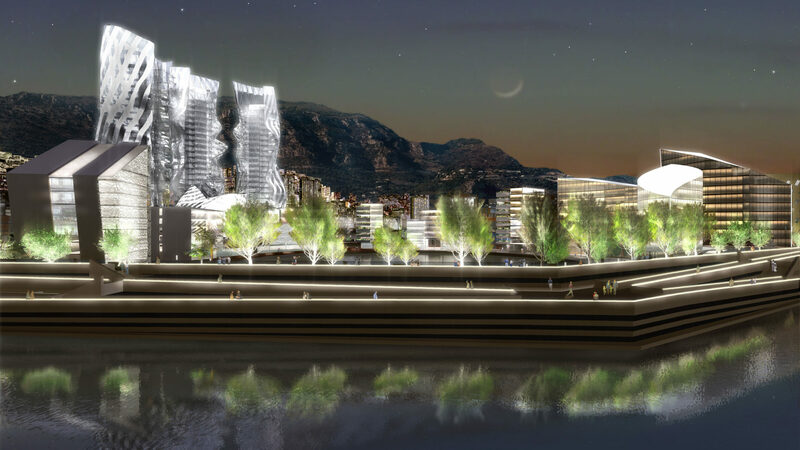 The Principality of Monaco launched a competition under restricted invitation in order to realize an offshore extension in the gorgeous Mediterranean bay. The winning project got Christian de Portzamparc, Rem Koolhas, Elizabeth de Portzamparc and Franck Gehry together. 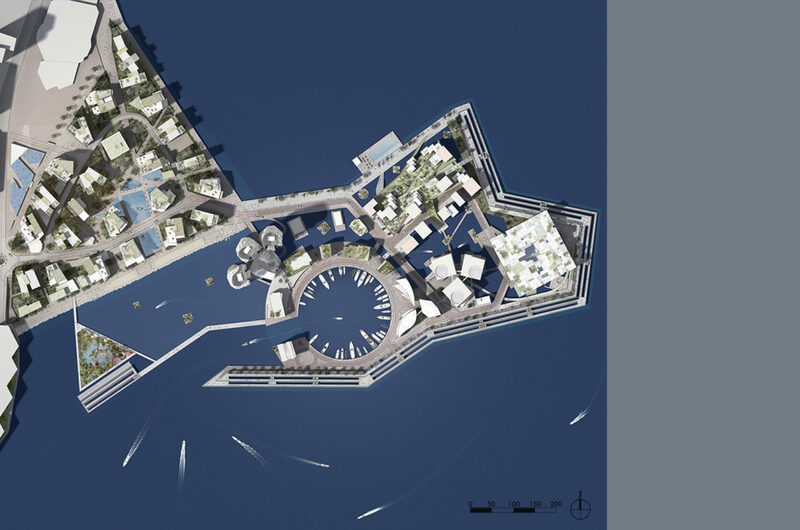 In addition to her participation to the urban reflection of the whole grouping, the Elizabeth de Portzamparc Agency was in charge of the maritime fortifications architecture and of several buildings architecture in the harbor, including the new port authority building. 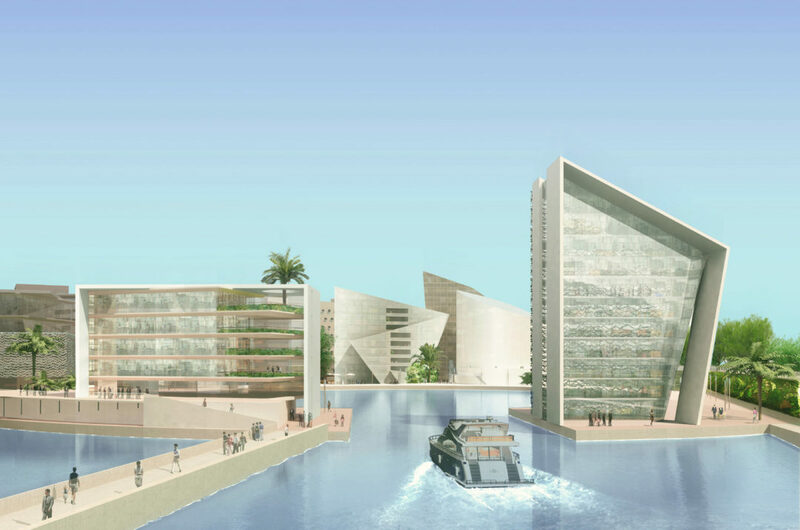 In the port, the architecture is composed of a set of small and very rigorous buildings rising in crescendo and culminating in a trio of higher more sculptural and expressive buildings. 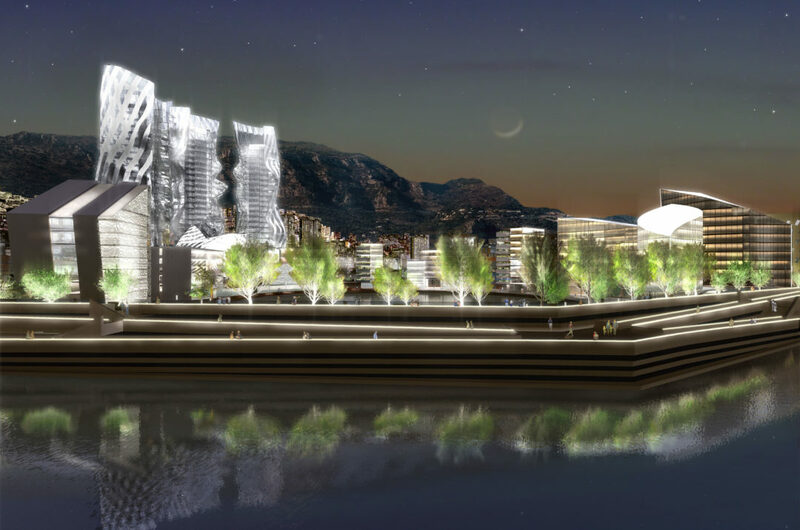 Thanks to the architectural concept of the harbour fortifications the structures in this project are extremely attractive, creating a contemporary and elegant seafront for Monaco. 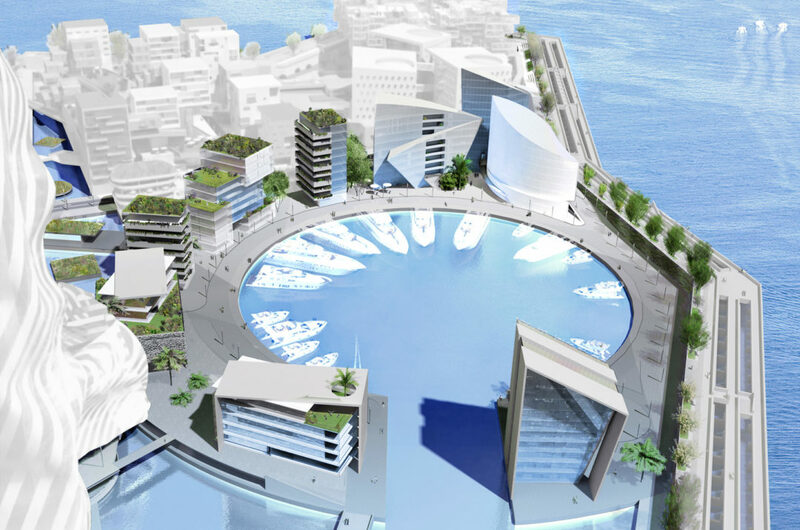 In addition to participating in the overall town planning and design of this new territory, the Elizabeth de Portzamparc agency’s most significant conceptual contributions were for the port and the structures’ architecture: design of all the port architecture (20,000 sqm), of the architecture of a housing complex (20,000 sqm) and of two major engineering structures (3,300 sqm). The office was also responsible for the design of 80% of the public spaces: squares, urban walkways, the identity concept for footpaths and road surfaces as well as the urban lighting scenography. It conducted researches on new materials, pe­destrian and traffic flows and new non-polluting and intermodal transport systems but also on all new means of protecting the en­vironment and restoring terrestrial and maritime fauna and flora. 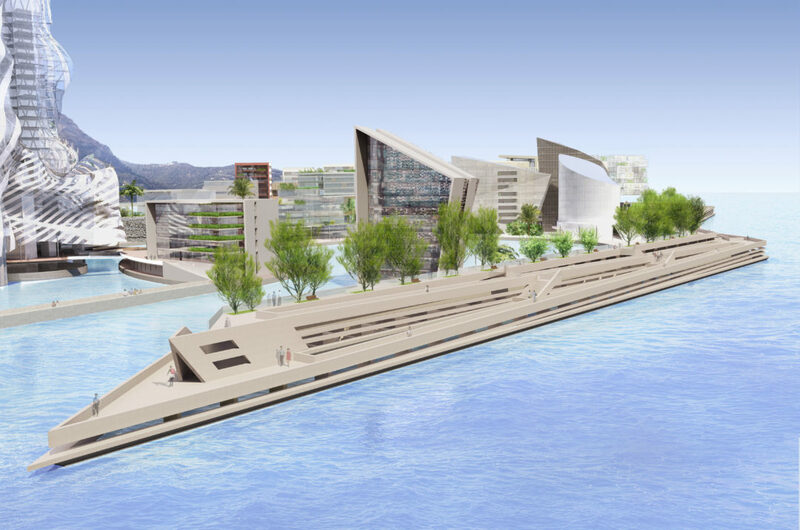 The agency also participated in the ground-plan and town-planning design developed by the Christian de Portzamparc Agency. 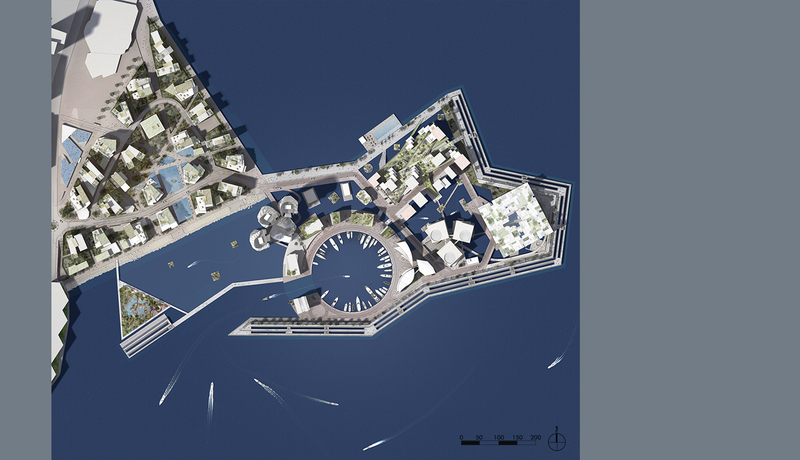 Creation of a new offshore territory including infrastructure and superstructure studies to a diversified urban program. Conception of the district plans building architecture plans.